PS Engineering manufacture and fit bespoke steel staircases throughout Northern Ireland. PS Engineering are a family run steel fabrication business who are based in Ballymoney, Northern Ireland. A staircase is one of the most important features in your home. They are normally located in your hallway and are often the first thing that your guests will see as they arrive at your house. Designing your bespoke staircase is as personal as designing you house and PS Engineering can help you to design something unique and beautiful, while meeting all Building Control standards. Also you may be moving into an existing house or might fancy a change at home. PS Engineering can replace you exisiting balustrades and handrail from something different. 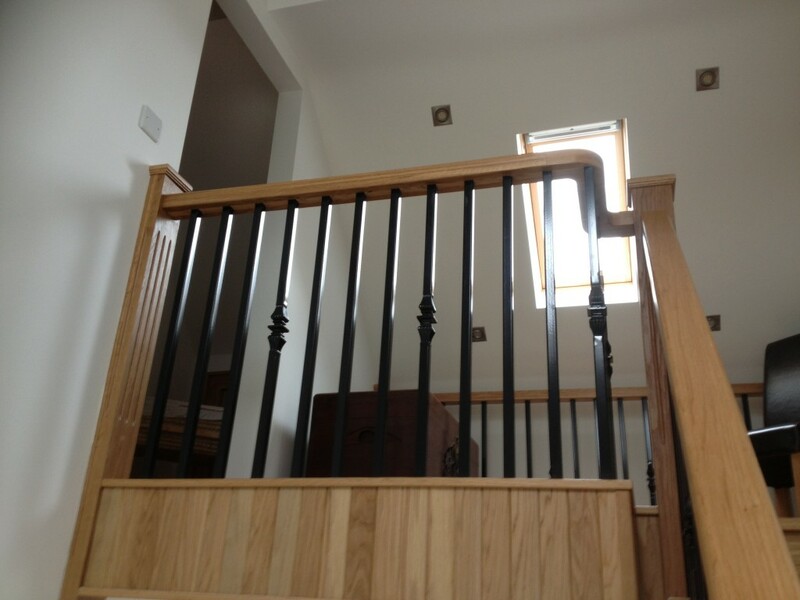 Making a feature of your staircase can completely transform your home from something average to stunning. At PS Engineering our galvanised steelwork will last a lifetime. You can choose to have your steelwork protected with a powder coated finish which leaves it looking beautiful. The powder coated finish is available in a variety of colours which you can view here. 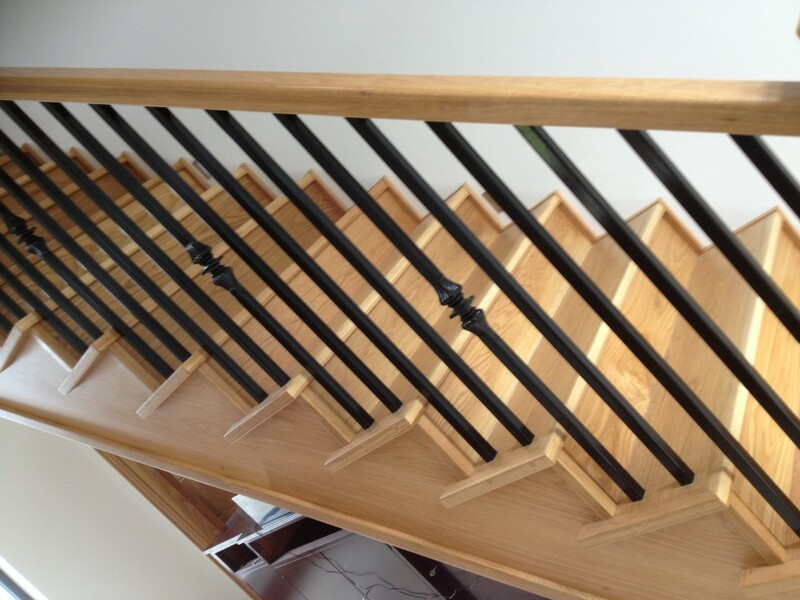 Not only can we fit a new staircase we also can repair any problems with an existing staircase. If you would like to design a bespoke staircase for your home or are having problems with your existing one then give us a call PS Engineering in Ballymoney on 07739715754 and we can have a chat about what you need. 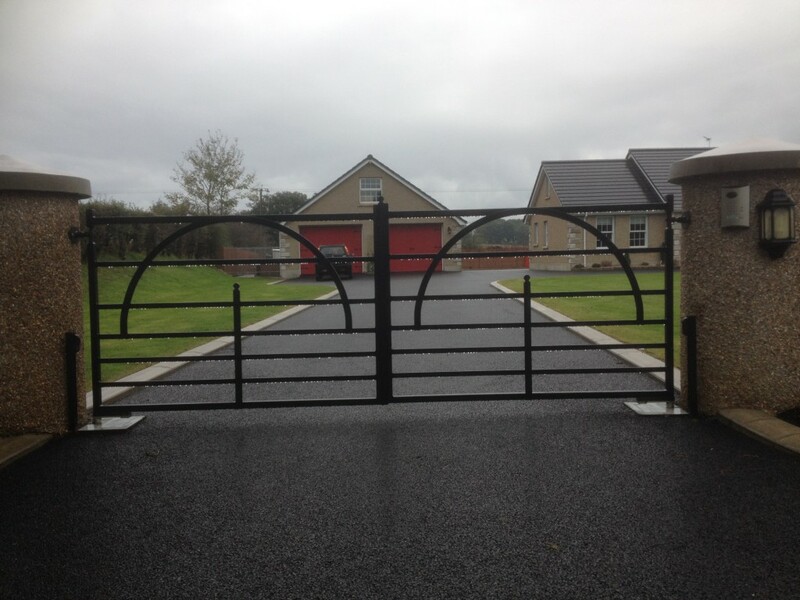 Northern Ireland Steel Fabrication firm PS Engineering make gates to your specification. PS Engineering design, manufacture and install gates for homes, and properties which give you peace of mind that your premises is safe and secure. Our craftsmanship also ensures that your gates look attractive to visitors and customers. Take a look below at some examples of our steel gates – these show mixture of gates and electric gates. At PS Engineering our gates are made to last a lifetime with a galvanised finish. For a coloured, beautiful finish ask us about powder coating which comes in a variety of different colours. If you are thinking of installing new gates, or are interesting in converting to electric gates then just lift the phone and give us a call. Call 07739715754 and or visit us in Ballymoney, Northern Ireland, and we will be happy to chat to you about your gates. 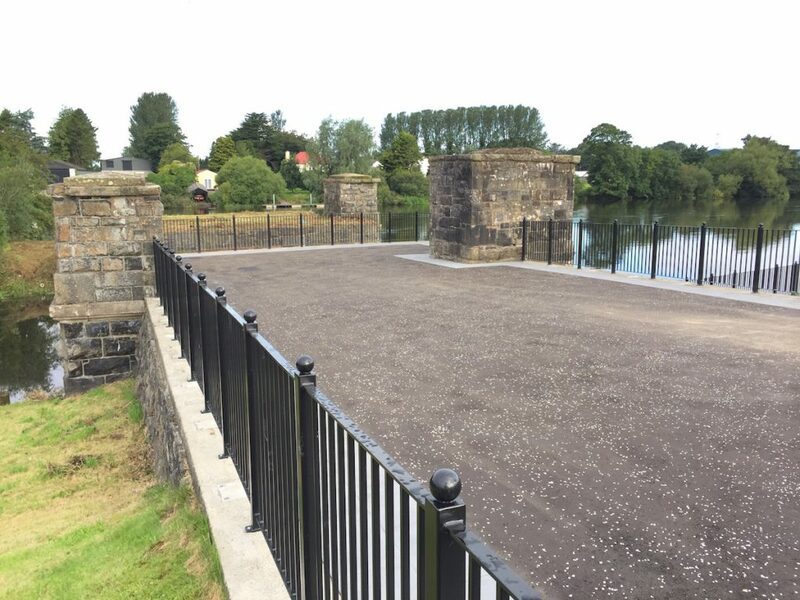 PS Engineering in Northern Ireland make Railings to your specification. Railings from PS Engineering can be manufacturer to you design and to meet your needs. If you need railing in your home, property or business premises then PS Engineering can manufacture railings from scratch to match existing gates or railings. Whether you want a simple flat top, spikes or arches PS Engineering can design and fabricate the steel railings you desire. At PS Engineering we can add the details which will make you railings look beautiful. Take a look below at the kind of design features we can incorporate into your design. At PS Engineering we pride ourselves in delivering a good job from the factory to installation on site. We work hard to ensure that our customers get the look, finish and product which they want. We also can provide a beautiful powder coated finish which gives a durable, smooth finish and is available in a variety of different colours. Please contact us here at PS Engineering, if you have a design in mind and we will try our best to be of help and create you railings that simply look good. 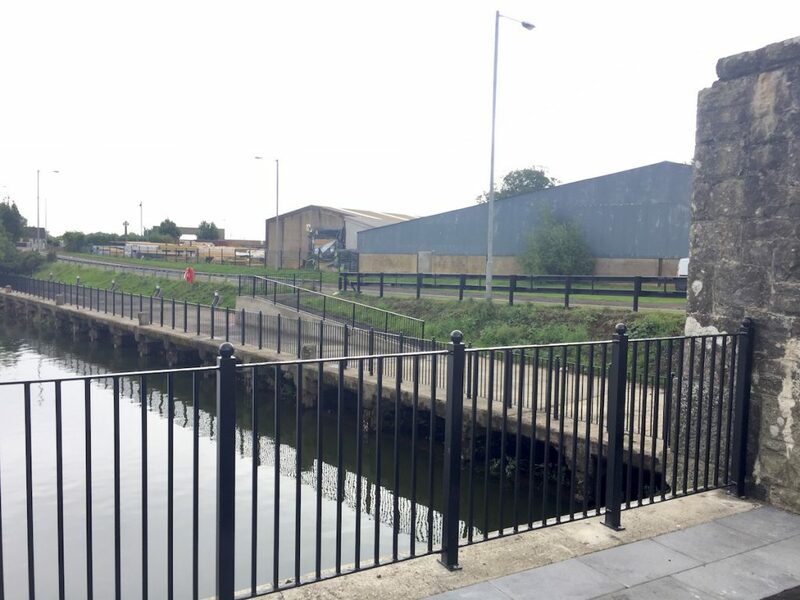 Get in touch with PS Engineering by calling 07739715754 or visit us in Ballymoney, Northern Ireland to discuss your railings.